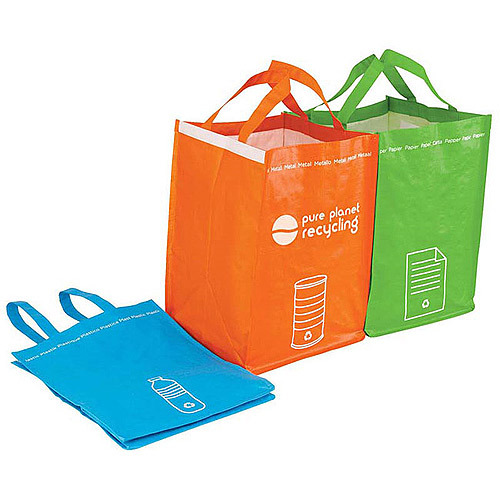 Recycling Bin Tote Set convenient recycling starts here.Recycling Bin Tote Set stick together while collecting and back apart while toting around. Set contains three bins to separate metal, paper and plastic. Velcro on each bin allows for them to be carried separately as totes or attached together as bins. Woven polypropylene.